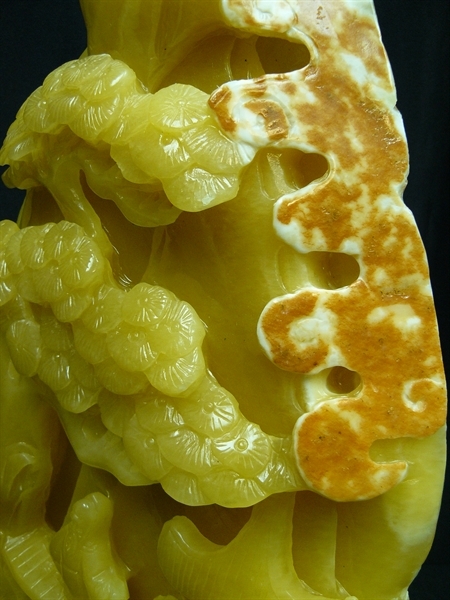 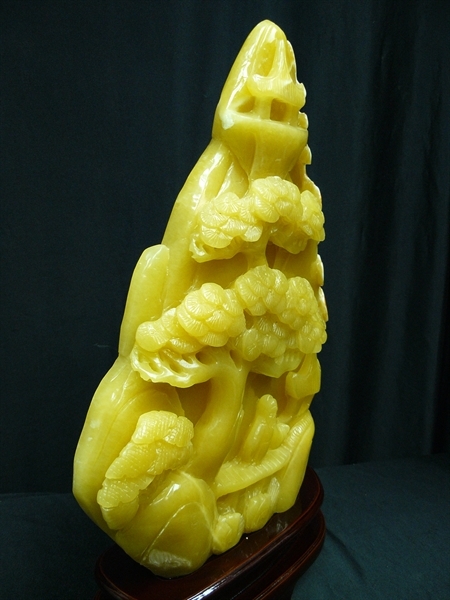 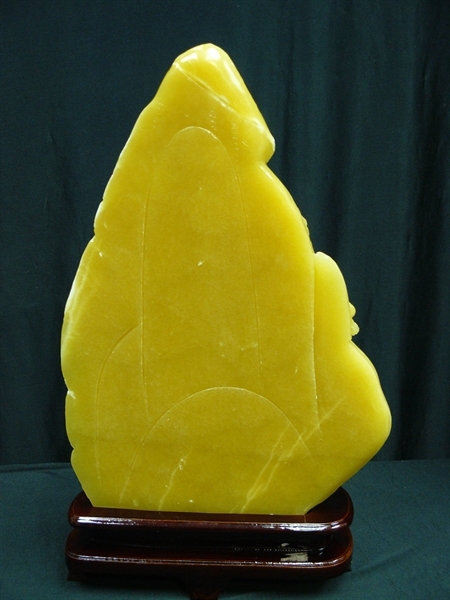 SIZE: WIDE 12", DEEP 3", HIGH 17"
This is a very beautiful yellow jade carving. 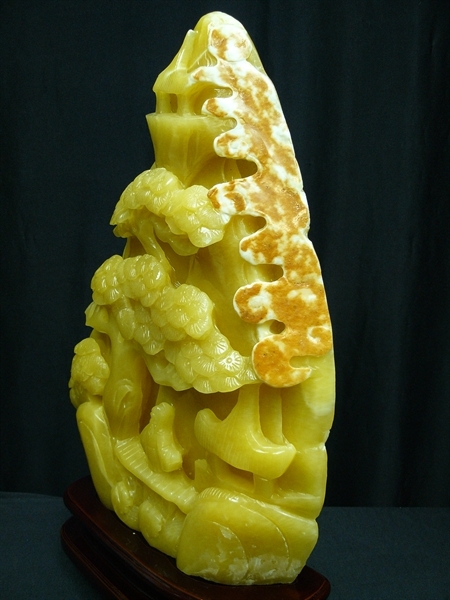 Fairies are carved on the mountain. Beautiful scene. 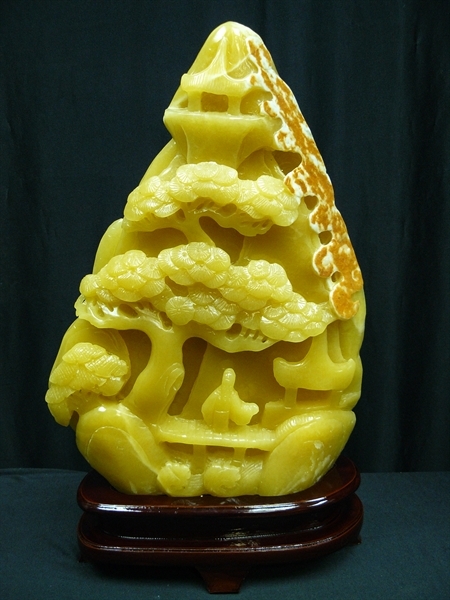 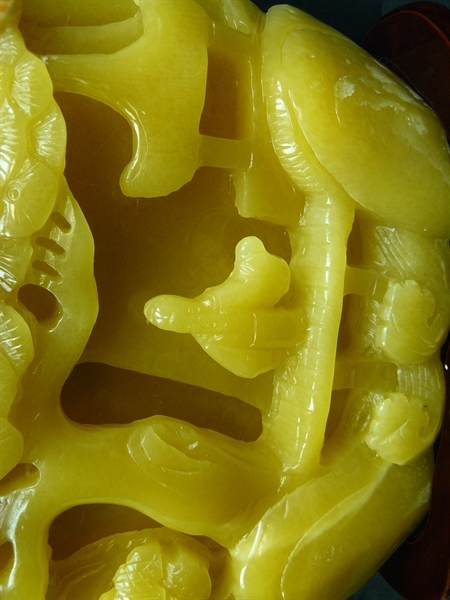 All hand carved from one solid piece of natural yellow jade.